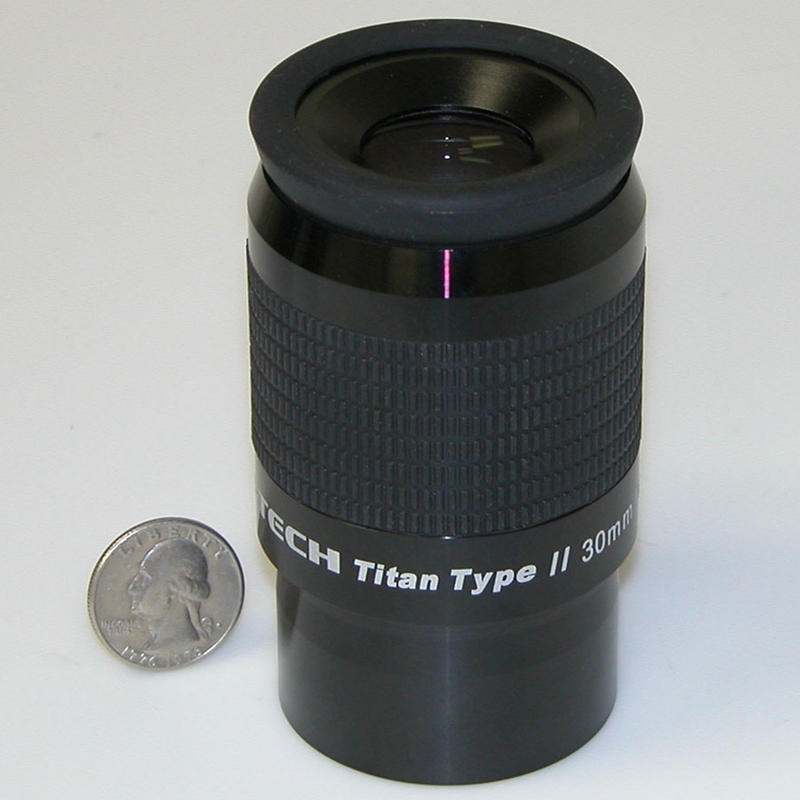 Each Titan Type II ED uses a six lens optical design with an ED (Extra-low Dispersion glass) element that provides excellent color fidelity across the entire field of view. They are parfocal, minimizing the need for refocusing when you change eyepieces. The edges of the 30mm Astro-Tech Titan Type II ED lens elements are blackened and the interiors of the barrels are finished in matte black with antireflection threading. The resulting low internal reflections give you high visual contrast, with a dark sky background that makes low surface brightness objects stand out more clearly. All lenses are fully multicoated with the latest broadband high transmission/antireflection coatings for excellent light transmission and low ghosting. Thanks for looking and grab them while you can. We are almost out and when they are gone, they will not be coming back.